Possession of drug paraphernalia is classified as a misdemeanor in Maryland, and the maximum penalties upon conviction depend on whether the defendant is a repeat offender. Despite the fact that small amounts of pot have been decriminalized, marijuana paraphernalia will remain a crime until the fall of 2015. A first time offense for possession of paraphernalia carries maximum penalty is a fine of $500. Although the penalty for a first time violation of this statute may not result in jail time, it is still important for a defendant to seek representation by a criminal defense lawyer. A defendant who is convicted of this offense may end up with a criminal record for a drug offense if he or she agrees to plead guilty without the service of an attorney. 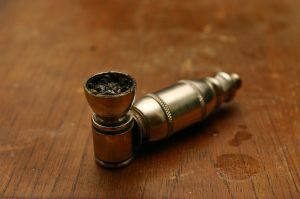 The most common type of drug paraphernalia case involves a marijuana pipe or bowl, but police may also charge a defendant with possession of a crack pipe, cocaine straw, or syringe. There are many options available to a defendant who is arrested or cited for paraphernalia possession including diversion programs, probation before judgment, trial, or having your case placed on the stet or inactive docket. The penalty for a second conviction of possession of drug paraphernalia increases substantially. Instead of a fine and no jail time for a first offense, a second or subsequent conviction has a maximum penalty of 2 years in jail, and a $2,000 fine. The state law for goes into great detail as to what defines drug paraphernalia. The trial of fact, which in first offense cases will be the judge, and in second offense cases would likely be a jury, is responsible for determining whether an object is paraphernalia. The fact finder may consider a variety of circumstances to make this determination such as statements made by the defendant prior to arrest, the proximity of the object to a controlled substance, or any instructions provided with the object concerning its use. The court may also consider the prior criminal record of the defendant including previous drug convictions in state and federal court. The court or the jury may also factor in the presence of residue of an illegal drug on the object, and even hear expert testimony about the purpose of the object in making the determination of what it is used for. Delivery or sale of drug paraphernalia is also a misdemeanor under state law, and could carry much harsher penalties than possession of drug paraphernalia. A first offense for delivery or sale carries the same maximum penalty as possession, but rises substantially if it was sold to a minor 3 years younger than the defendant. A violation of this section of the statute has a maximum prison sentence of 8 years and a fine of up to $15,000. There are a variety of defenses to a criminal charge of possession or sale of drug paraphernalia that may be available to a defendant. A Baltimore criminal lawyer can examine the facts surrounding an arrest or citation for possession and determine whether motions to suppress or dismiss may be filed. There may be legal grounds to suppress statements made by the defendant after arrest, and prior convictions of the defendant may not be legally sufficient to be presented to the court. All criminal cases in the state can have drastic consequences for a defendant, and you do not need to be sentenced to jail time to suffer from a conviction. The Herbst Firm will fight to keep your criminal record clean so you can move past this incident as if it never happened.